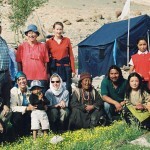 When it comes to trekking and mountain climbing, Ladakh is a fantastic destination overall, but there’s a region within the province that seems almost designed for these activities: the Changtang – home of the nomads. In a place where the ground level is at 4500m over the sea, climbing a 6k mountain is a very realistic possibility. 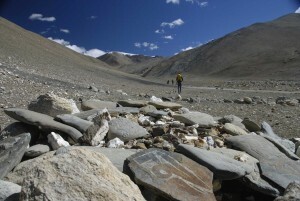 The Changtang region is not only limited to the Ladakhi territory. 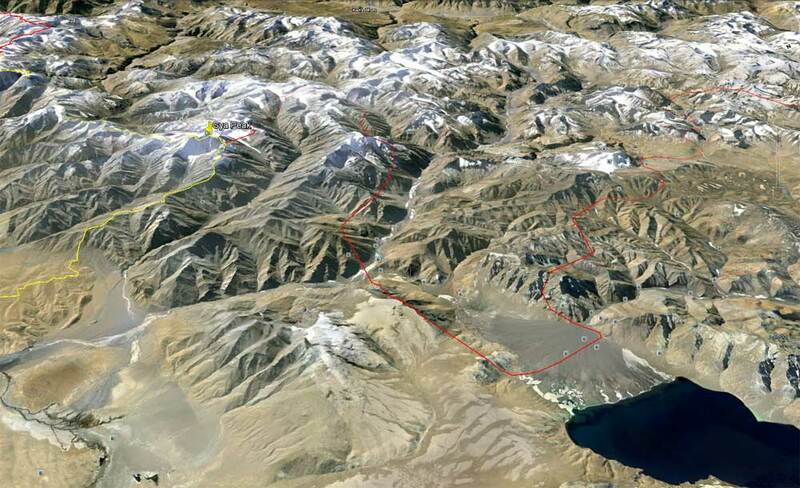 It actually runs from the northwestern parts of Tibet over the border to Ladakh. In its overall expansion from east to west, it stretches over 1,500 km. In Ladakh as well as in Tibet, this is a region very scarcely populated – nothing surprising, since it’s also considered one of the most inhospitable places of the world. Only the toughest people can survive here: hardly anything green grows at this altitude (and whatever grows must be shared with the nomad’s yaks, sheep and goats), and during the winter months the temperature can drop sometimes to less than -30°C. 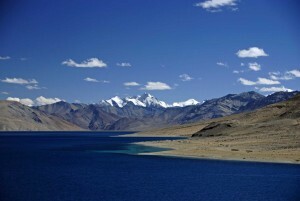 In spite of this harshness, or maybe because of it, the remote Changtang region is also one of otherworldly beauty with its deep blue, emerald green and shimmering turquoise big mountain lakes – the three most important being Pangong Tso, Tsokar and Tsomororiri – AND majestic peaks ideal for mountaineering. 6k-giants look here almost like the 2,000m-high mountains look in the Alps, since at their feet you are already at least 4,500m above sea level! A magnificent view of Lake Tsomoriri and the mountain giants Chamser and Lungser. Photo: Harald Schaffer. The number of 6000m peaks in the neighborhood of the Lake Tsomoriri can make a mountaineer’s heart to start beating faster. 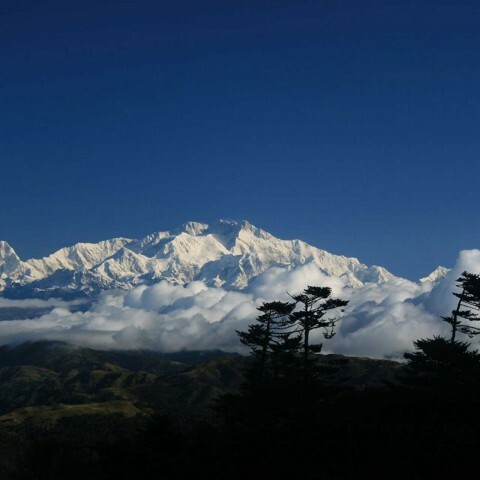 The highest, most prominent Kangris (Kangri = snow-covered mountain) in this area are the Chamser and the Lungser Kangri. The mountain with the “diabolical” height of 6.666m is situated on the eastern shore of Tsomoriri. It is the highest peak in this mountain chain. Despite its height, from a technical point of view it’s one of the easiest summits to conquer in Ladakh. The usual base camp lies at about 5,000m, and the 1st high camp is normally set up at 6,100m, with a possible second camp at 6,250m near a small lake. Chamser Kangri is the slightly smaller brother of Lungser. They both share the same base camp at about 5,000m (that by the way can be easily reached in one day from the village Korzok on Tsomoriri). 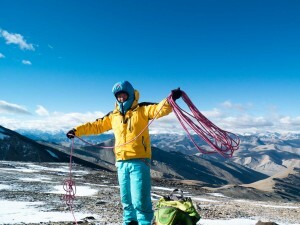 The first high camp is set up on a plateau at about 5,650m, and the second one can be set up at approximately 6,100m. Mentok, the name both of many of the individual mountains and the range to which they belong, translates approximately as “flower” – a rather curious name given the general lack of flowers in this land. However, one could say that many 6k peaks in the region sprout out of the earth like wild grass. The Mentok mountain range extends from the western shore of Tsomoriri to the northwest. Again, most mountains here are not technically difficult. From Gyama (5,200m) there’s good access to several six-thousanders. However, some may also be tried starting from Manechan Valley. Running south of Lake Tsomoriri, on the road to Spiti and the border with Tibet, another sierra delights mountain climbers with many peaks over 6,500m. 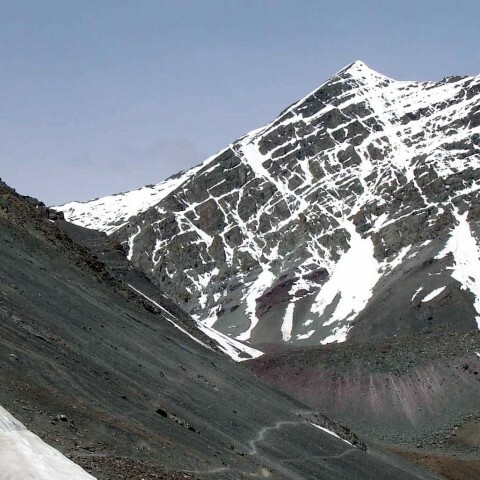 The most prominent among them is the Mount Gya (6,794m), located right on the border between Ladakh, Spiti and Tibet. For a long time unknown to the West, it has since being conquered in many occasions. The mountain chain south of Lake Tsomoriri and its impressive Mount Gya. Note: For all peaks over 6,000m a permit from the IMF (Indian Mountaineering Foundation) is required and they are subjected to certain restrictions. Additionally, there are some peaks for which no permit is available. 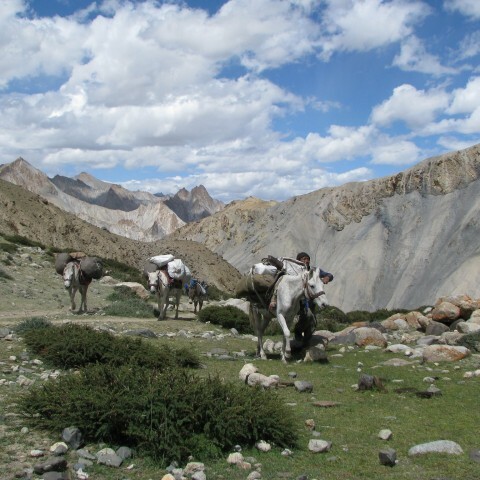 The Changtang is ideal for trekking tours where a previous, early acclimatization has been performed. 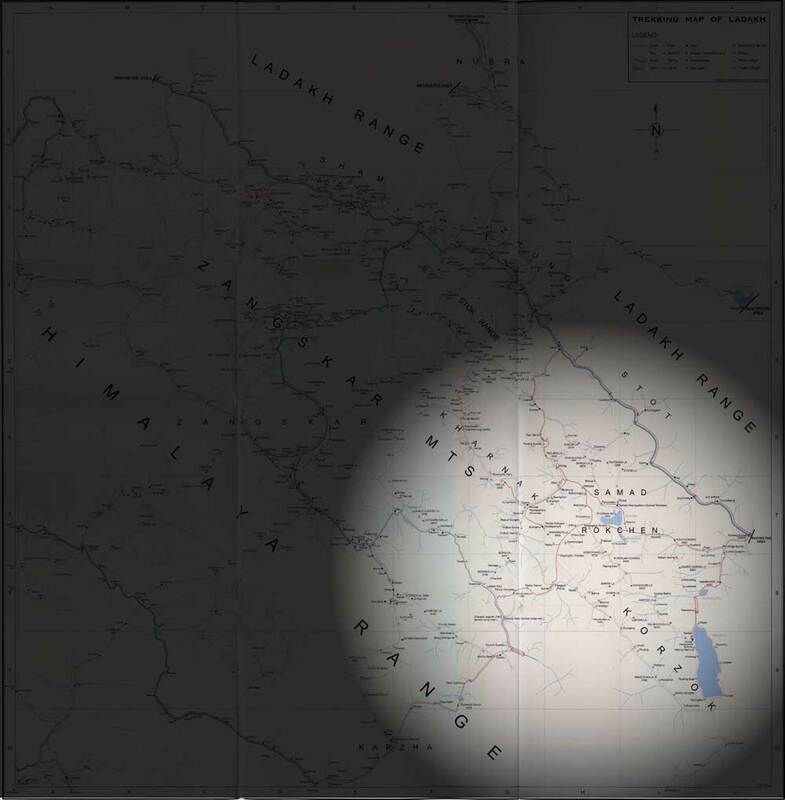 Depending on how much time one has planned, it can be a good idea to come from other regions (like Markha or Zanskar …) after at least 14 days getting used to the altitude. If you need a challenge and want to climb not one but two six-thousanders, this is exactly the right trip for you. You will cimb two mountains in the Mentok range at Tsomoriri lake. 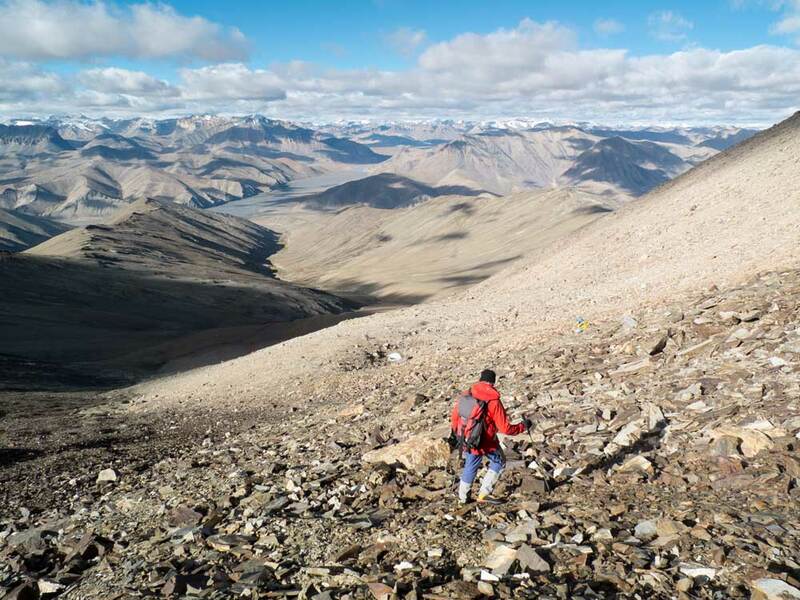 We offer you a two-weeks tour with ideal preparation for the ascent of Stok Kangri (6.154m), you get acclimatized by daily hikes and a short trek before our endeavor starts. So we are perfectly prepared and our chances are higher to summit the six-thousander at the end of our trip! 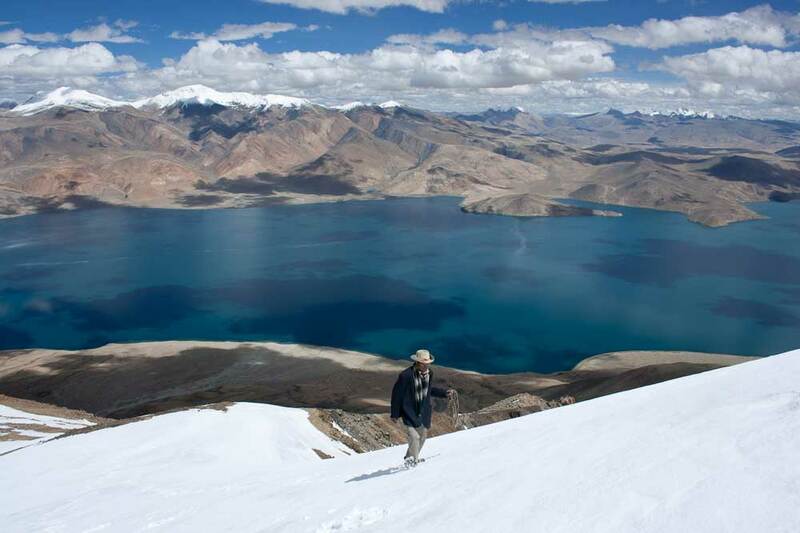 On this tour we fly at higher game: the nine-day-trek leads you through the the Tibetan High Plateau. And then you even climb a six-thousander.